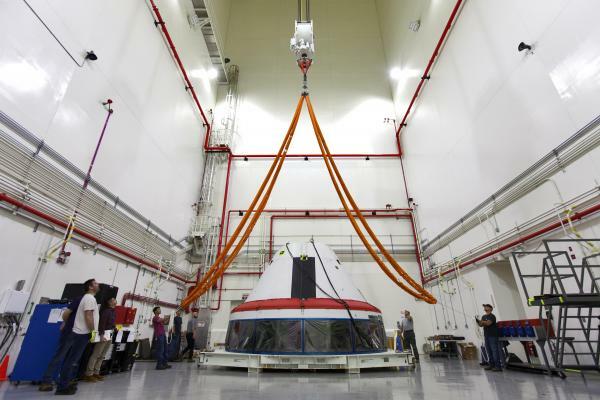 Inside the Launch Abort System Facility (LASF) at NASA’s Kennedy Space Center in Florida, workers assemble the Launch Abort System (LAS) on Feb. 5, 2019, that will be used for the Orion Ascent Abort-2 (AA-2) Flight Test. 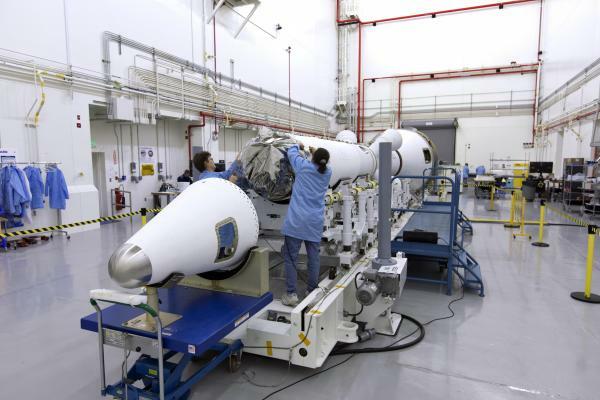 AA-2 is a full-stress test of the LAS, scheduled for Spring 2019. 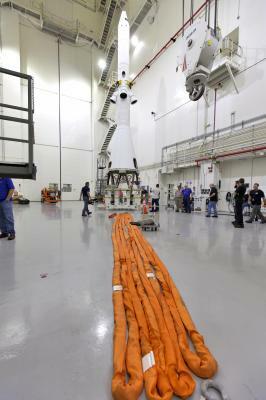 AA-2 will launch from Space Launch Complex 46, carrying a fully functional LAS and a 22,000-pound Orion test vehicle to an altitude of 31,000 feet and traveling at more than 1,000 miles an hour. 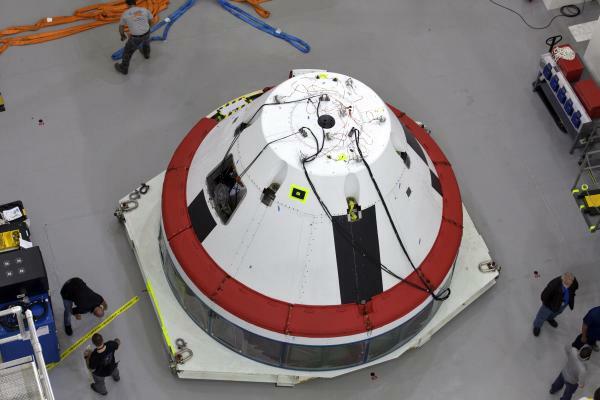 The test will verify the LAS can steer the crew module and astronauts aboard to safety in the event of an issue with the Space Launch System (SLS) rocket when the spacecraft is under the highest aerodynamic loads it will experience during a rapid climb into space. 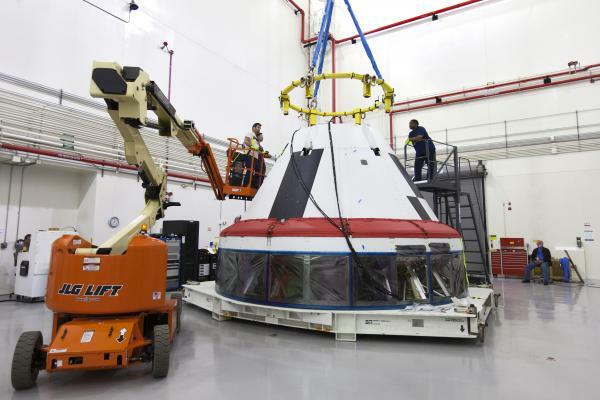 NASA's Orion and Exploration Ground Systems programs and contractors from Jacob's and Northrop Grumman in conjunction with the Air Force Space and Missile Center's Launch Operations branch are performing flight operations for AA-2. 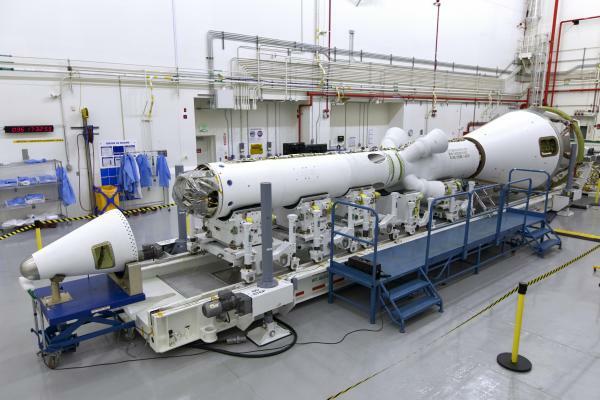 Lightning protection system construction starting today in SLC-46 for the AA-2 test. 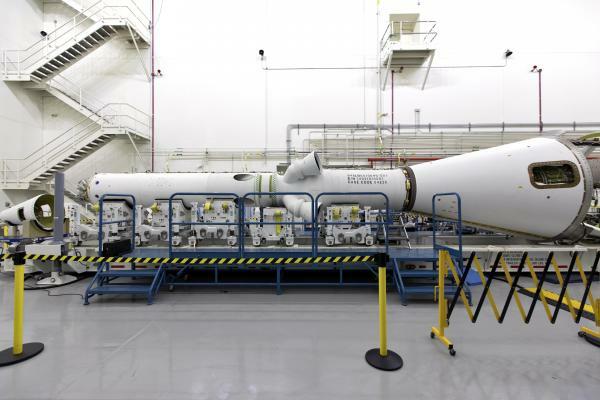 Are these permanent LPS towers or mobile extensible LPS towers similar to those used by Thor family and other launcher families?? 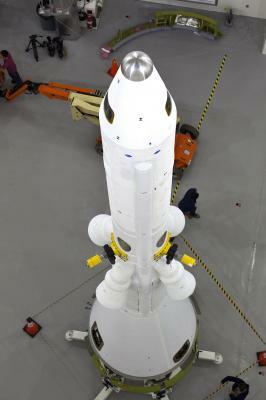 EDIT: KSC/45SW photos confirm permanent LPS towers being installed at both the Primary and Secondary launch positions. 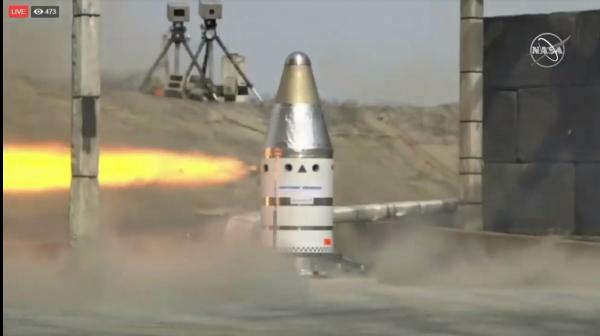 The second set of towers will be installed at a later date but the foundations were poured at the second launch position ahead of future Navy Next Generation SLBM/USAF GBSD candidate testing which will kick off in the next 2 years. 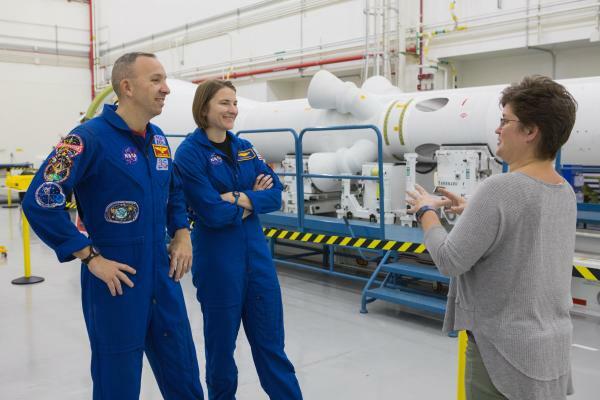 Astronaut candidate Kayla Barron and NASA astronaut Randy Bresnik, tour the Launch Abort System Facility (LASF) and visit with workers at NASA’s Kennedy Space Center in Florida on Feb. 12, 2019. 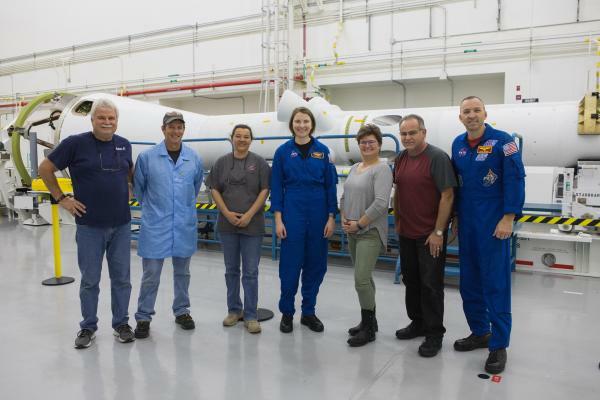 Barron and Bresnik viewed the Launch Abort System (LAS) that will be used for the Orion Ascent Abort-2 (AA-2) Flight Test. 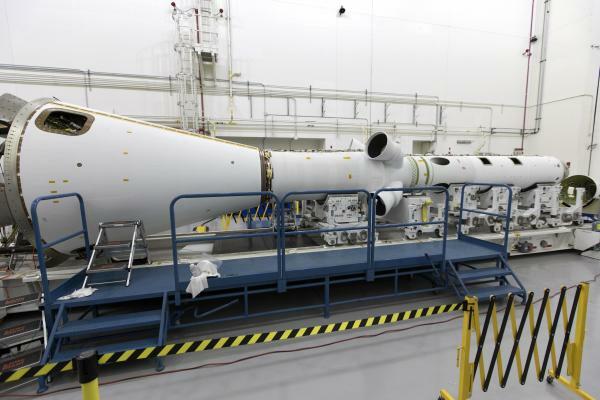 AA-2 is a full-stress test of the LAS, scheduled for Spring 2019. 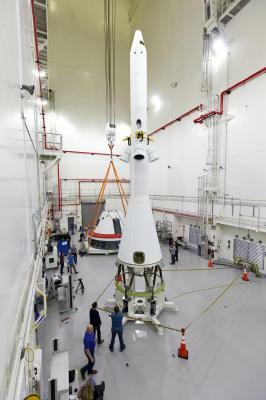 AA-2 will launch from Space Launch Complex 46, carrying a fully functional LAS and a 22,000-pound Orion test vehicle to an altitude of 31,000 feet and traveling at more than 1,000 miles an hour. 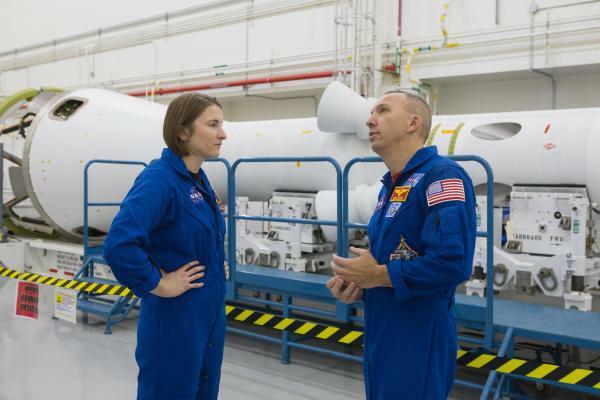 The test will verify the LAS can steer the crew module and astronauts aboard to safety in the event of an issue with the Space Launch System (SLS) rocket when the spacecraft is under the highest aerodynamic loads it will experience during a rapid climb into space. 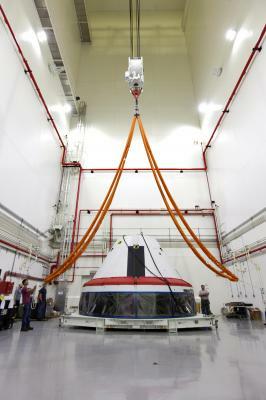 NASA's Orion and Exploration Ground Systems programs and contractors from Jacob's and Northrop Grumman in conjunction with the Air Force Space and Missile Center's Launch Operations branch are performing flight operations for AA-2. 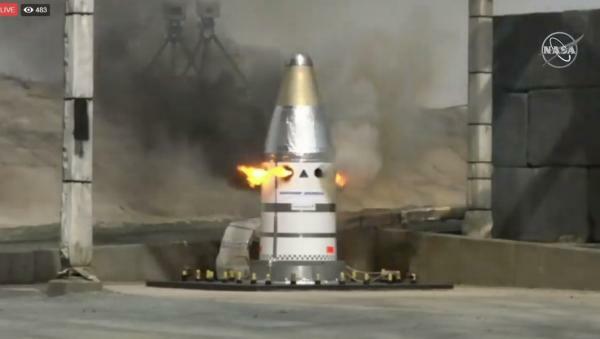 The test is an Orion LAS ACM QM-1 (Launch Abort System Attitude Control Motor Qualification Motor-1) Hot Fire Test and will test the Launch Abort System's Attitude Control Motor to qualify the motor for spaceflight. Attached is a short info sheet that might better explain. 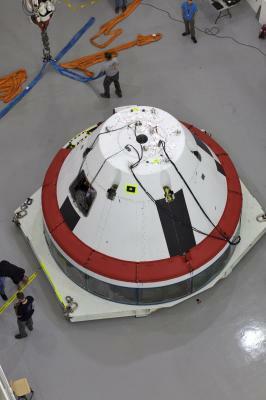 It will be similar to the launch abort test back in Nov. at Redstone except longer. 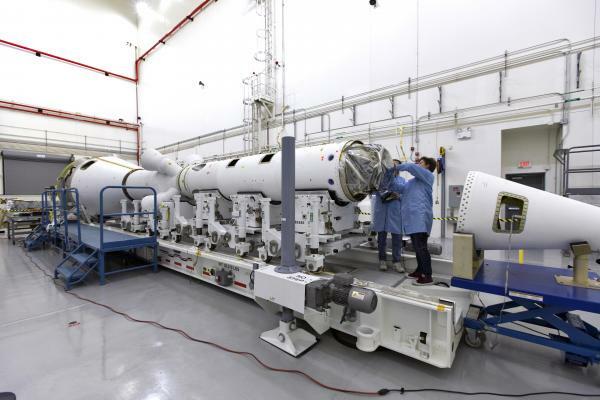 They will shoot fire from multiple areas of the LAS at different times over the course of 30 seconds. Similar to the screenshot attached. 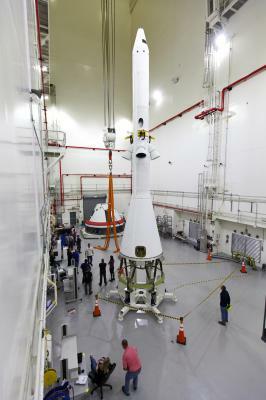 I'm Not sure if this video is the same hot Fire Test conducted Mar 20, 2019 - Tony D.
At its facility in Elkton, Maryland, Northrop Grumman hot fired a motor for NASA's Orion launch abort system. 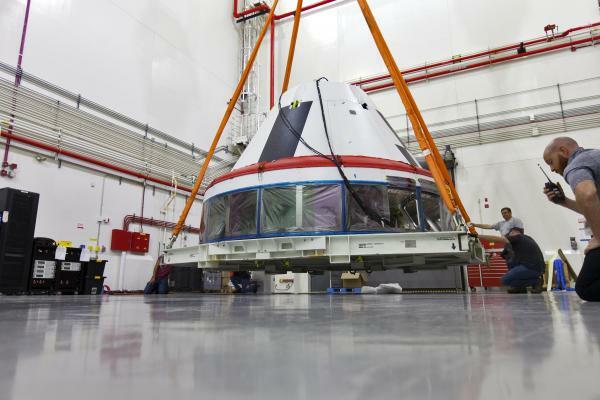 The attitude control motor is responsible for orienting the crew module for landing in the event that Orion’s ride to space experiences a failure during launch or ascent. 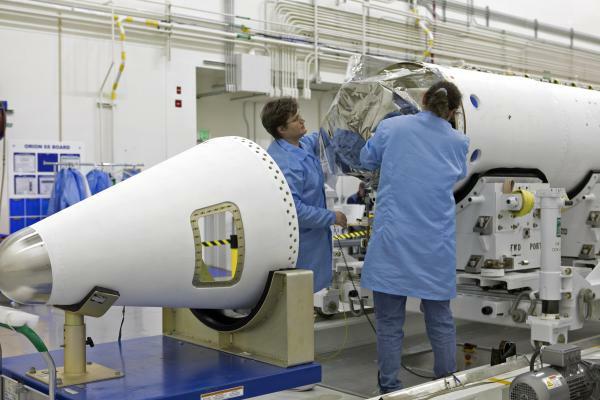 Video courtesy of Northrop Grumman. 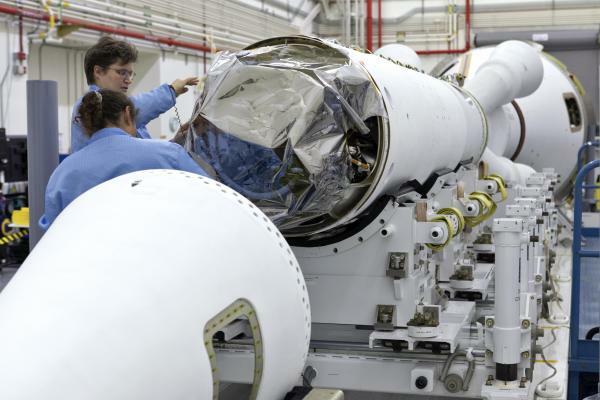 NASA Langley Research Center is NASA's Launch Abort System co-lead.